Onion Scallion Chicken - tender and juicy chicken stir-fry with onions and scallions in mouthwatering Chinese brown sauce. This easy recipe takes only 20 minutes and goes well with rice or noodles. 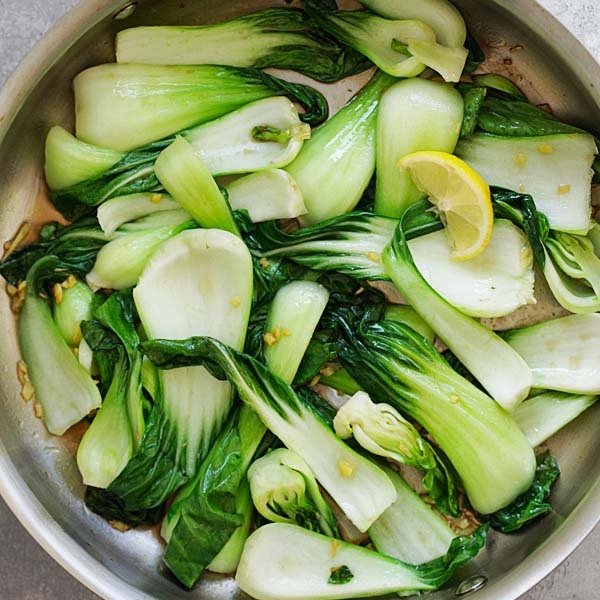 One of the most important techniques in Chinese cooking is stir fry. If you love Chinese food, you have to master this technique. Many popular Chinese recipes are simple chicken stir fry where raw chicken are sliced to pieces, velveted with corn starch, and then stir-fried in a hot wok or skillet. In this recipe tutorial, you will learn how to make tender and juicy chicken just like Chinese restaurants. 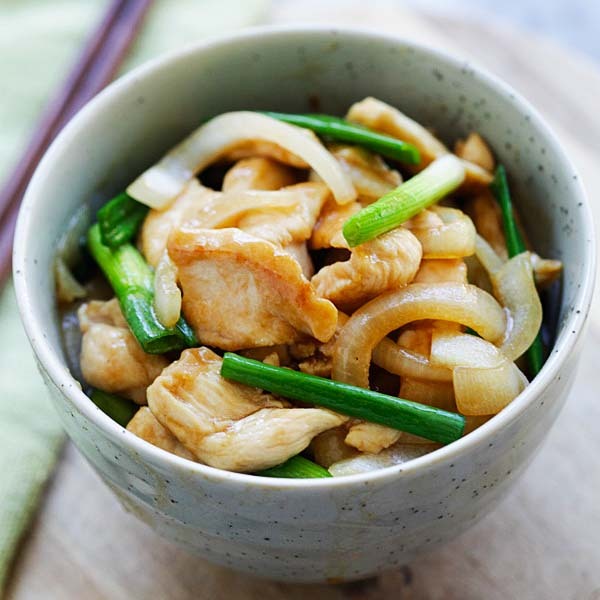 Onion and scallions are two common ingredients but when they are combined with chicken and flash cooked through stir fry with a crazy delicious brown sauce, you will have a dish that is sure to please, even the pickiest eater. 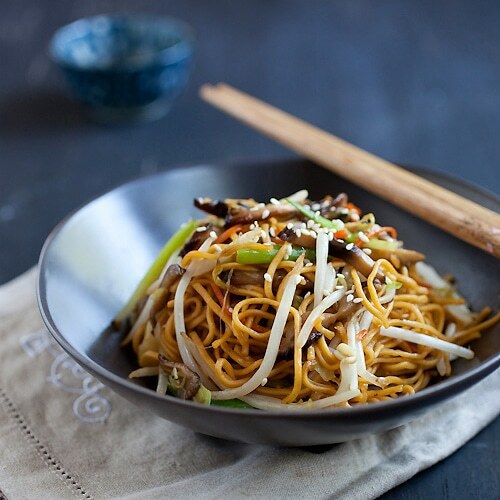 Many people love the savory brown sauce in many Chinese stir fry dishes. The brown sauce is amazing when drizzled on top of steamed rice or chow mein. It also adds great flavors to proteins such as chicken and beef. The best recipe for Chinese brown sauce calls for oyster sauce, soy sauce, sesame oil, white pepper and corn starch, which you will learn in my recipe section. The sauce shouldn’t be gooey but nicely coat the ingredients. All photos and recipes on Rasa Malaysia are copyright protected. Please do not use the photos and recipes without prior written permission. If you wish to republish this recipe, please rewrite the recipe in your own words instead of copy and paste and link back to //rasamalaysia.com/onion-scallion-chicken/. Thank you very much! This look’s delicious and going to Pin to try this month. Hi Marilyn, awesome, yes you will like this onion scallion chicken. Hi, could we just have the recipe (ingredients and method) without having the narration and advertisements in the PDF printout? Looks delicious and I’m planning on making it! I do have a question about the nutrition information. When you calculate the total, are you including the rice or noodles the chicken is served with? Based on the ingredients, I’m not seeing where the 671 calories per serving are coming from. Or am I missing something? I am using a website to calculate and sometimes it’s not reliable. I don’t see how it’s so high either. Let me recalculate. The nutrition label is wrong. Updated. Only 360 calories. Do you have a recipe box where we can save our favorite dishes? I do not do Facebook or P.
I was planning to make it anyway but now I can enjoy it without feeling guilty. :-) Thanks! I have had Chow Mein all my life mostly in San Francisco at Johnny Khans . Such a wonderful guy , Chef and Owner but I have never had Chow Mein with noodles. We always had it everywhere even in Beverly Hills several times with Bean Sprouts never noodle. 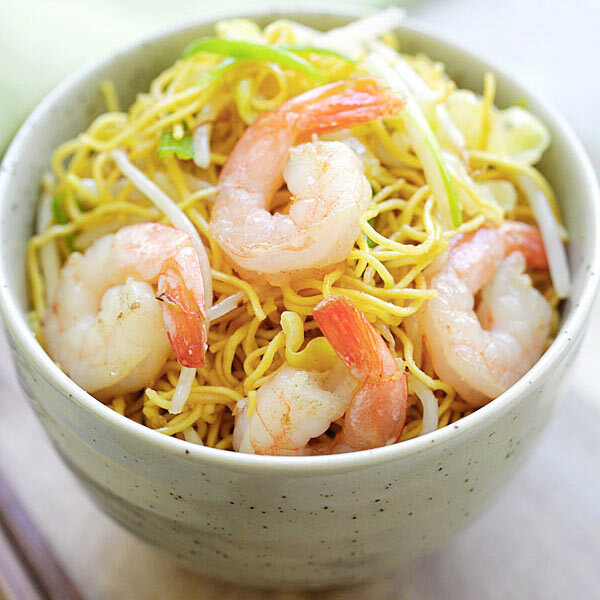 May I have this recipe with Bean Sprouts? Hi Lois, chow mein means fried noodles. There is no chow mein without noodles. Since I am not allowed to eat noodles I will have to think of another addition. Your recipes are amazing and I am so anxious to try this! Hi Lois, thanks for your sweet comment. Yes all my recipes taste delicious and amazing.